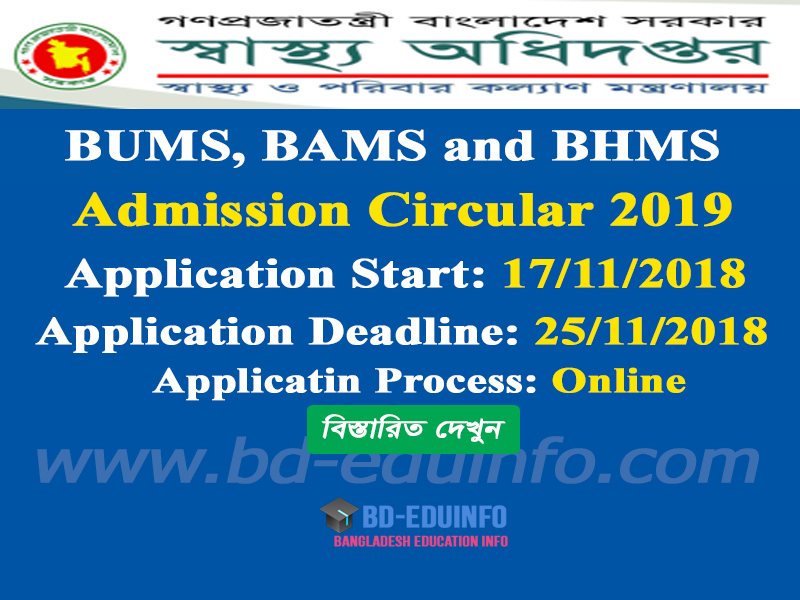 Bangladesh Unani Medicine and Surgery (BUMS), Bachelor Auberdik Medicine and Surgery (BAMS) and Bachelor Homeopathic Medicine and Surgery (BHMS) admission notice 2018-2019 has been published. Bellow you have to see the full circular and online application process. As well as money sending SMS system. 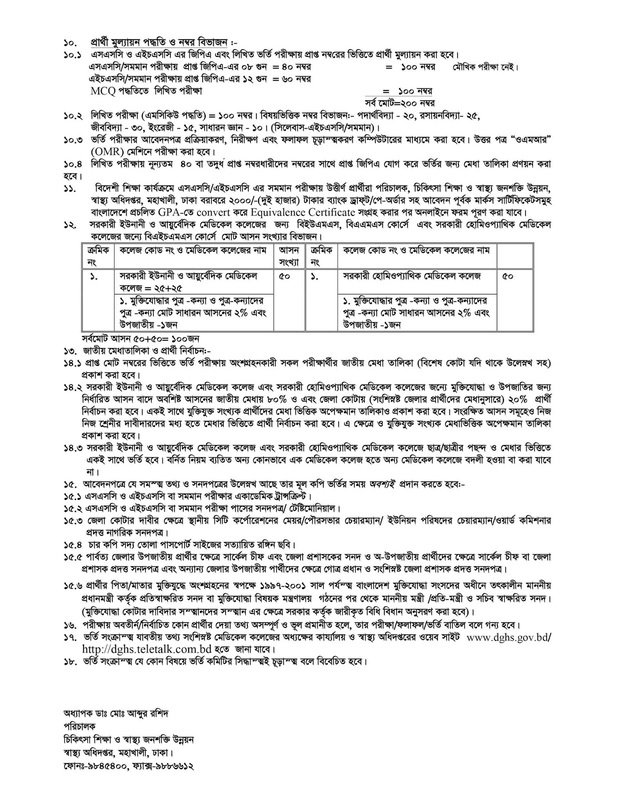 Medical College admission information will update at www.dgh.gov.bd and http://dghs.teletalk.com.bd/. 3. Teletalk prepaid has a balance of minimum Tk. 1000/-. e. Must be given a mobile number. After submitting the money, the SMS can be sent to the user's ID and password. Second cell phone number should be given in the second for contact if necessary. f.College choice option add your choice college. 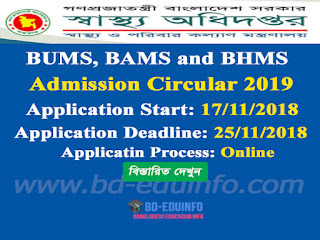 BUMS, BAMS and BHMS admission test admit card download notification will send my SMS and also by declared by official website. Candidates have to Medical Admission test admit card by using User Id and Password. Eligible Candidates can download admit card from 01/12/2018 to 04/12/2018. Tags: dghs. dghs teletalk com bd. yhse-panda. www dghs teletalk com bd. BUMS, BAMS and BHMS result 2018. BUMS, BAMS and BHMS result. www teletalk com bd. BUMS, BAMS and BHMS result 2018-2019. BUMS, BAMS and BHMS. dghs teletalk. dghs teletalk com bd BUMS, BAMS and BHMS. teletalk com. Teletalk. BUMS, BAMS and BHMS admission result. medical admission result. dghs teletalk com bd result 2018-19. dghs teletalk com. dghs teletalk bd. BUMS, BAMS and BHMS ADMISSION. dghs. dghs teletalk com bd. yhse-panda. www dghs teletalk com bd. BUMS, BAMS and BHMS result 2018. BUMS, BAMS and BHMS result. www teletalk com bd. BUMS, BAMS and BHMS result 2018-2019. BUMS, BAMS and BHMS. dghs teletalk. dghs teletalk com bd BUMS, BAMS and BHMS. teletalk com. Teletalk. BUMS, BAMS and BHMS admission result. medical admission result. 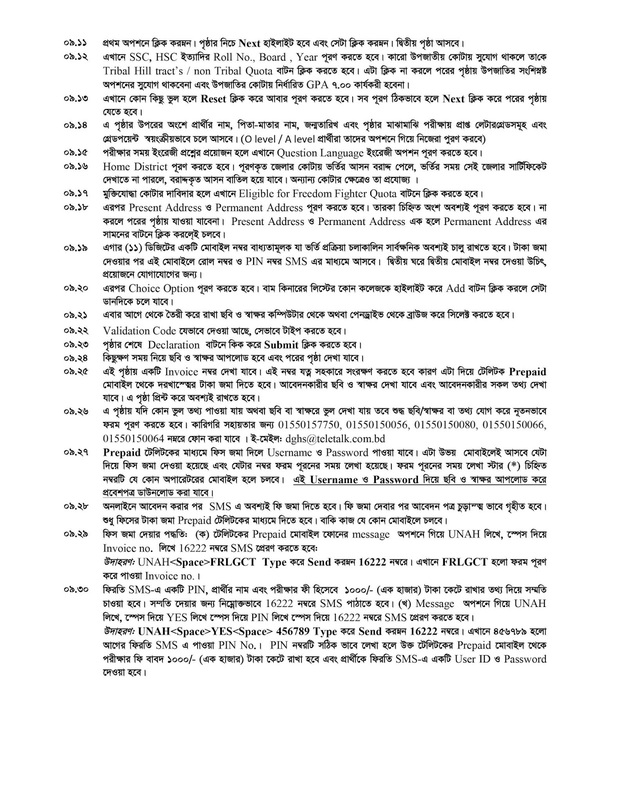 dghs teletalk com bd result 2018-19. dghs teletalk com. dghs teletalk bd. BUMS, BAMS and BHMS ADMISSION.